There is no golden standard management for neglected, chronic patellar tendon rupture as they are fairly rare. Nevertheless, accompanying pain can be highly debilitating. By presenting a case of patellar tendon repair, the exceptional results of a patellofemoral arthrodesis are described. A patient presented herself with a sustained patellar tendon rupture which was neglected for several years, causing a complete extensor mechanism dysfunction. Her most debilitating complaint was pain. As ligament reconstruction in this case was not possible, patellofemoral arthrodesis was aimed for. The pain resulting from micromotions was subsided by implementing a unique technique using a lock-key principle to obtain a patellofemoral arthrodesis. The procedure proceeded without complications. The patient followed a regular post-operative plan and is now successful in maximum weight bearing her knee without pain. 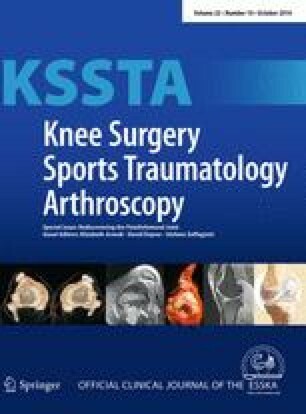 A patellofemoral arthrodesis can be regarded safe and also very effective in the relief of pain in extreme patella alta.